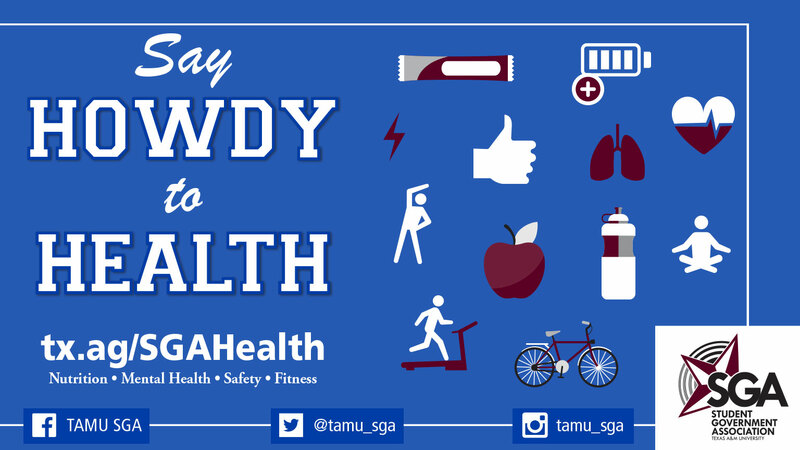 What is the "Say Howdy to Health" Campaign? This year we are have partnered up with other university organizations and departments with a goal to raise awareness and provide accessibility of health resources available to students. Health is about more than just going to the gym which is why we have emphasized not only physical health but nutrition, safety, and mental health as well. Click on one of our logos below for a list of resources, watch our monthly Health Video, and don't forget to check out our Event Calendar for a list of health events and other activities related to student life. Check out the rest of our Videos!